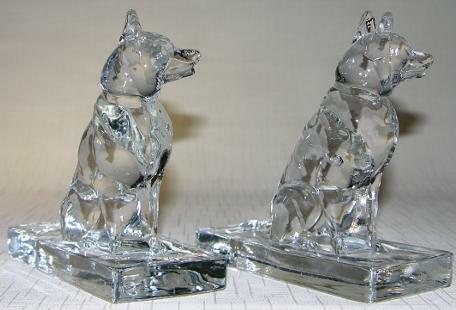 Police Dog Bookends — New Martinsville Glass - Circa 1940. Crystal. Measures 5” high x 5” long x 2-1/4” deep. Weighs 2-1/2 lbs. the pair. One of the earliest NM animal figurines was originally made as a lamp base for a private mold customer. 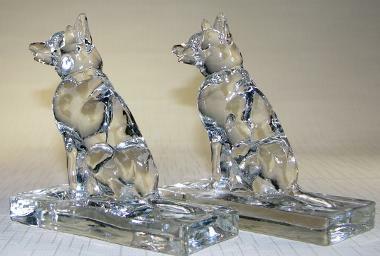 It was remade by NM in 1938 as small bookends. Excellent condition.